Anna Jarvis, the founder of Mother’s Day, devoted years to gaining national recognition for a day to honor mothers, as a fulfillment of a dream held by her own mother – Ann Marie Reeves Jarvis. Ann Marie was born in Culpeper in 1832, the daughter of Josiah Washington Reeves and Nancy Kemper Reeves, whose Kemper ancestor Johannes had come to Virginia in 1714 as one of the original Germanna colonists whom Lt. Governor Alexander Spotswood settled at Fort Germanna along the Rapidan River frontier. Ann Marie’s father was a Methodist minister who was transferred in 1843 from Culpeper to Philippi, now in West Virginia, when she was a girl. Ann Marie married Granville Jarvis, a successful merchant, and was mother to eleven children, but only four reached adulthood. She organized Mother’s Day Work Clubs to improve health and sanitary conditions for families in several towns. When war broke out and the western part of Virginia broke away and formed the new state of West Virginia, Ann Marie Jarvis urged her Mother’s Day Clubs to declare neutrality and provide aid to both Confederate and Union troops. For many years after the war, she spoke of her dream to have a day in which Americans would honor mothers. After her husband died, she moved to Philadelphia, where she died in 1907. Her daughter Anna Jarvis (1864-1948) began her campaign for the creation of a national Mother’s Day on the first anniversary of her mother’s death. 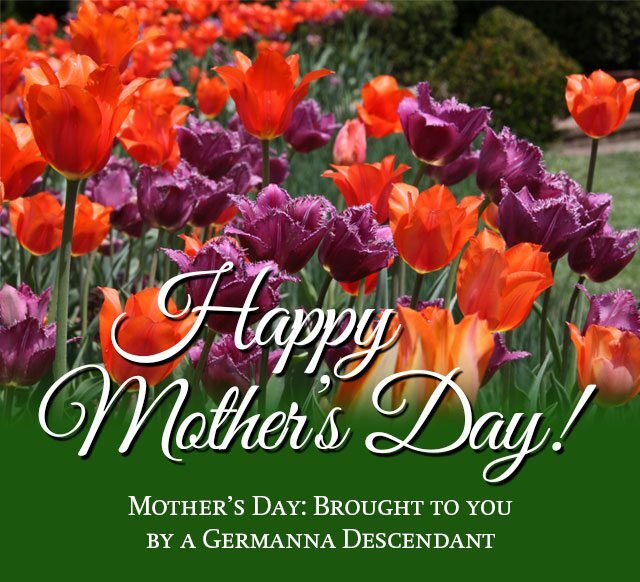 She gained the support of the Philadelphia philanthropist John Wanamaker, and by 1909 there were unofficial Mother’s Day observations in 45 states. Official recognition began to follow, and in 1914, President Woodrow Wilson approved a resolution adopted by both houses of Congress recognizing Mother’s Day. Find out more about the history of Mother’s Day by reading this article by Germanna Trustee Katharine Brown, Ph.D.
Germanna descendants and supporters can be proud that an exceptional woman who sparked a national recognition of the role of mothers through her own outstanding life of service was a Germanna descendant born and raised in the Culpeper community, and that her daughter is responsible for making Mother’s Day a national celebration.